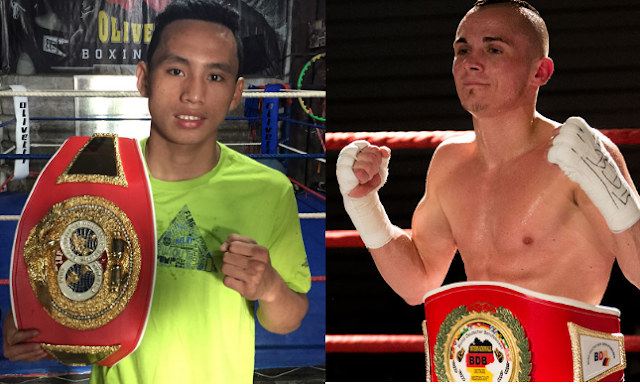 Filipino boxer Robert Onggocan will travel to Germany to face the undefeated prospect, Mirco Martin. Robert Onggocan is a 21 years old boxer from Dapitan City, Zamboanga del Norte, Philippines, he has a record of 9W(5KO)-1L. Robert Onggocan won his 5 fights via KO and defeated his last two top fights against Iwan Zoda of Indonesia and Marjun Pantilgan of the Philippines. Onggocan currently ranked no. 28 in the world and he is the current IBF Youth flyweight champion. On the other hand, German Mico Martin is a 25 years old undefeated boxer. He has a record consisting of 9W(5KO). The German fighter won his last 5 all by way of KO's and he is currently ranked no. 48 in the world. The fight will be held at Fischbachhalle, Saarbruecken, Saarland, Germany on August 12, 2017.